Innovation accounting is a key element of the lean startup approach. Embodying the ‘measure’ and ‘learn’ elements of the Build-Measure-Learn cycle, innovation accounting enables business owners and developers to create useful metrics that offer insight into user engagement, product-market fit, and scalability. 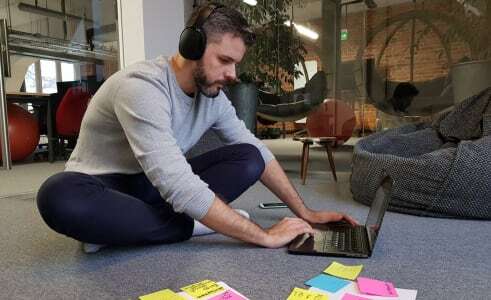 You may have heard the phrase, “There’s no accounting for taste,” but when it comes to the lean startup approach to digital product development, there is accounting for innovation. And not only does it exist but it’s necessary. After all, a startup business environment is all about innovation and creativity – if you’re not aiming for something new, you’re not really a startup. So we need some way to measure that. Especially considering that a startup is, by definition, a new venture – there are no existing metrics or data or past performance statistics to measure against. You’re starting from scratch and so must your accounts; all your accounts. …a way of evaluating progress when all the metrics typically used in an established company (revenue, customers, ROI, market share) are effectively zero. In other words, a business developing a new product is surrounded by apparent ambiguity (how do you measure ‘opportunity’?) and innovation accounting brings a structure to measuring progress and success in that kind of environment. It’s about aligning your accounting with being in the business of new ideas. Key to lean startup is learning and understanding – both the product and the client’s business. Innovation accounting is a structured way of measuring progress. Traditional metrics, such as ROI or market share, are ill-suited to the startup business scenario. Ries emphasizes that the use of such measures only encourages exaggeration – either of the initial business plan or the predicted returns – in order to secure funding for the project. Besides, such metrics are not necessarily the measures of success here. At the product development stage, is market share really such a concern? Yes, it’s important to know your target user, and yes, it’s a long-term goal to capture as many of those users as possible… but while you’re still building and testing your minimum viable product, the number of users is no indicator of success or failure; the product simply isn’t at that stage yet. So, what does innovation accounting look like? Ries understands that metrics and measuring performance is often a tricky science and has suggested that three consecutive dashboards be developed for each product, each building on the last with further information and data. 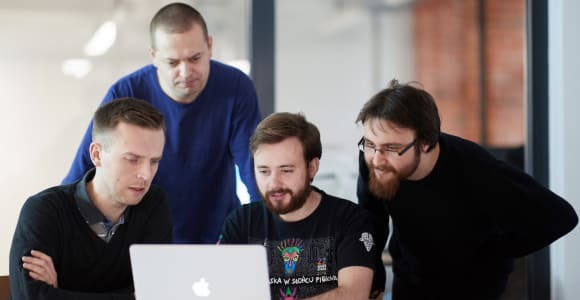 The purpose here is to keep the process of development closely aligned with user needs and feedback. Metrics like these act as a measure of the level of involvement of users in your product development. Embarking on development of a new product for an untested market (at least, “untested” in relation to your product) is a leap of faith. What makes it so? The assumptions you’re making about the product and the market from the beginning. The lean startup approach implicitly acknowledges that it’s impossible to start building anything new without an assumption or two and measuring the truth of those assumptions is part of the second level of innovation accounting metrics. Leap of faith assumptions come in two flavors: value assumptions about the value users will derive from the product, and growth assumptions about how new users will find your product. 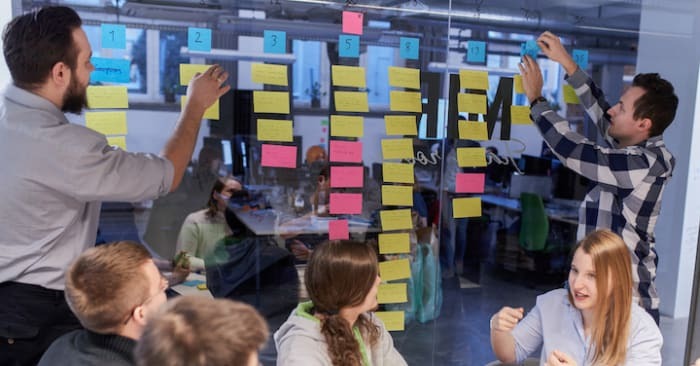 Testing these assumptions is at the center of the lean startup methodology through prototyping and MVPs, and validated learning exercises that guide the product’s development path. The focus of this second level of metrics is to clarify the product’s market fit and readiness for scaling in that market. Innovation Accounting level 3: What’s the ‘Net Present Value’? The purpose of level three is to shift the focus to the product’s financial performance. The key is that innovation accounting and its metrics are not static. 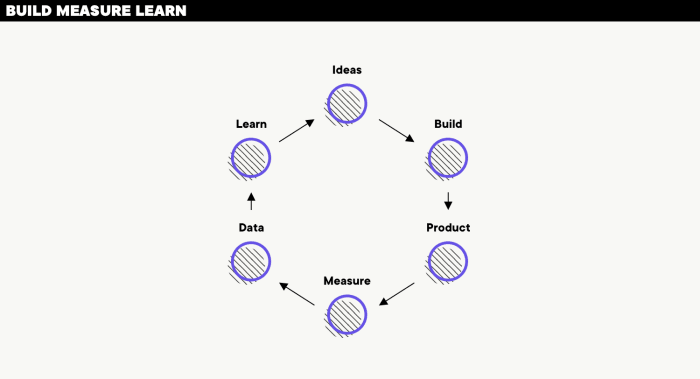 The lean startup process rests on a constant spiralling cycle of Build-Measure-Learn. Not only is the product constantly improving but with every test or interaction, new data is being gathered. This gives the process a dynamism as the overall data provided by the metrics changes to take account of the latest input. The implications of each new piece of data for your business can be seen instantly; the three dashboards offer a constantly updated picture of your product’s path to existence, and to market. How are people working differently? What new sources of growth are we tapping? Apply your chosen metrics to the three levels, gather the data and measure progress. Act on the data you have. Is the project team performing to plan? What progress is being made, and in what direction? Is the product development still aligned to identified user needs? So far, so good. But what are the specific benefits of innovation accounting? The framework of metrics has a structure which means that each one is (if you’ve chosen wisely) essential. The three-level structure carries in-built dependencies in that the first measures user engagement, the second the market-readiness of the product, and the third measures financial/market performance. The figures and metrics create a sharp focus on the value and performance of the product. 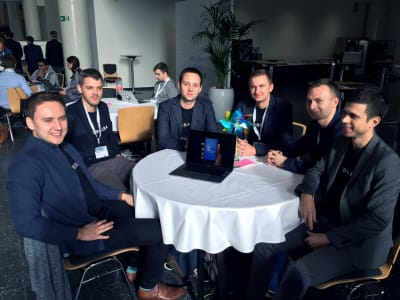 This helps keep the development team focused on what is important, on the project’s success criteria: a product that fits the market and can do so in the future. 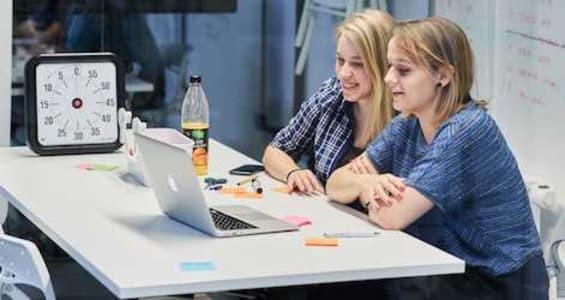 In turn, creating a strong team focus on the underpinning development issues and goals is potentially strong motivation for collaboration and teamworking. The system provides a rare link between research & development (often a fairly ‘intuitive’ process) and market performance. If you’re in the business of creating products, using the same (or compatible) metrics for each development process allows like-for-like comparisons between products. Innovation accounting is one of the five basic principles of the lean startup approach to business. Specifically designed to address the fact that a startup has no real data history or market traction, innovation accounting involves choosing key metrics that enable you to track and measure what really matters: user engagement with the product, assumption-testing, and current product value. The benefits include the creation of a product better suited to its market, and single focus for all members of the project team.